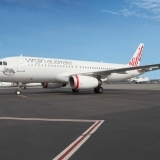 Virgin Australia, the official airline of the AFL, has added extra flights between Adelaide and Melbourne for this weekend’s Second Preliminary Final between Hawthorn and Port Adelaide. The extra flights will give more Port Adelaide fans the opportunity to travel to the match to see their team play for a spot in this year’s 2014 Toyota AFL Grand Final. 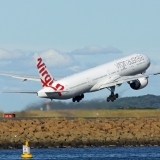 Virgin Australia Chief Commercial Officer Judith Crompton said: “As the official airline of the AFL we are committed to helping fans travel to interstate games throughout the 2014 Toyota AFL Finals Series. “With Port Adelaide just one win away from a Grand Final appearance there is high demand from fans to travel interstate to show their support which is why we’ve added extra flights. 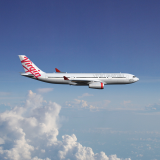 “Whilst tickets are selling fast, Virgin Australia currently offers a range of fares across the weekend and into Monday which balance price and flexibility”, Ms Crompton said. 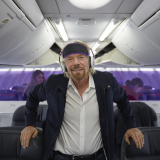 Virgin Australia is closely monitoring customer demand and will add extra seats and flights where possible to maximise AFL fans’ chances of seeing their teams play. 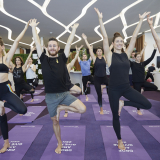 Each year Virgin Australia carries the 18 AFL teams on more than 300 flights, travelling more than 450,000km, and provide tens of thousands of extra seats to fans. In 2012 Virgin Australia launched “Any Game Anywhere”, the first program of its kind for a national sporting code in Australia. Any Game Anywhere offers packages for AFL fans, a single site where fans can access airfares, accommodation, game tickets and local tourist attractions in any destination where AFL games are played.